Authentic Gatherings is a monthly gathering of like-minded people. This is a safe place where we can connect, learn and grow. Expect a new experience each month – like cocktail classes, vegan cooking, photography, meditation techniques, makeup tutorials…and more! We deeply believe that our community is hungry for connection, personal growth, and the joy of learning something new. Authentic Gatherings hone in on our desire to evolve women and deepen their sense of community by offering fun and playful nights out where you can bring your girl friends or create new friendships with people on the same wavelength. Gatherings are twice a month and cost $30 for the presentation, a drink, light appetizers, and time to hang out. Like us on Facebook and Instagram, and join our Facebook group to be among the first to know when new events are added! 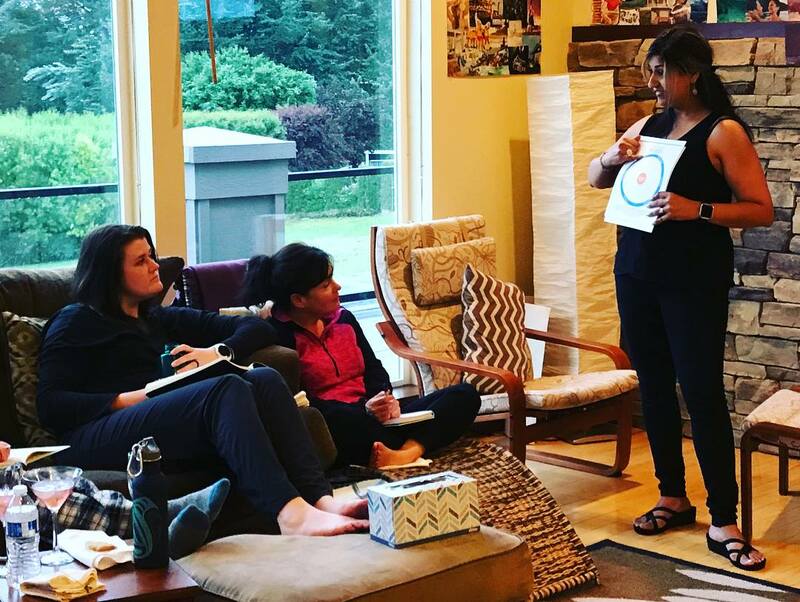 Extend the experience with a one day or weekend retreat with the core Authentic Gatherings team! If you have a passion and would like to share your talents, contact us! We would love to host you and showcase you in a sacred and supportive place.